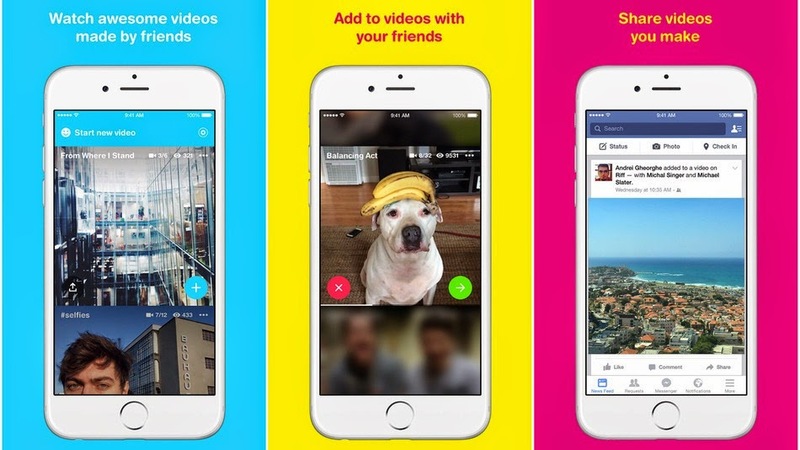 Facebook's new video app, RIFF, is a creative tool to make videos with friends. What's new about it, is its twist. In Facebook, normally the user will share, like, and comment something, but with Riff, it lets friends to collaboratively edit and take their own videos to the original video. Facebook posted How Riff Works, anyone can create video and give a topic on it, some of friends can view and add their own clips on that video. Once a friend adds a clip on the first video, your friends can be also shown the video in Riff and can be added into it. From there, this short video will exponentially grow and become a project. Riff, a Facebook Creative Labs app, is a new way to have fun making something with friends. Find Riff on the Play Store and App Store.